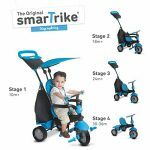 Description: This baby tricycle is perfect for your growing children aged from 1-5 years old and conveniently folds up for easy storage and transportation. 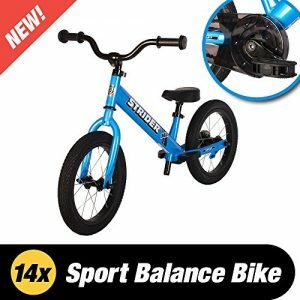 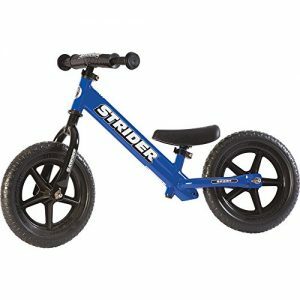 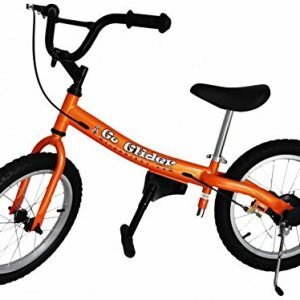 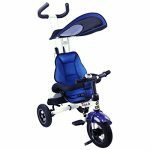 It offers 4 ways to ride and easily converts from a stroller to a steering tricycle, learning-to-ride- tricycle, and finally a classic tricycle. 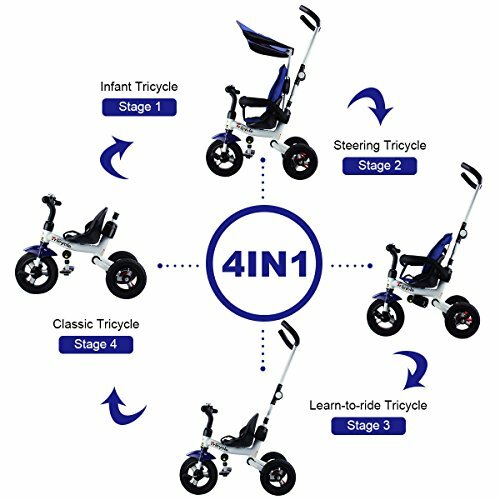 This baby tricycle has a parent handle which can be used for steering and adjustable removable pedals to prevent baby’s feet from being hit by front wheel. 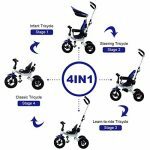 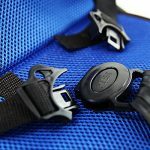 It features many secure designs, such as a safety belt to keep your little one safe, a padded handrail which is crash-proof and removable for baby to get on and off easily. 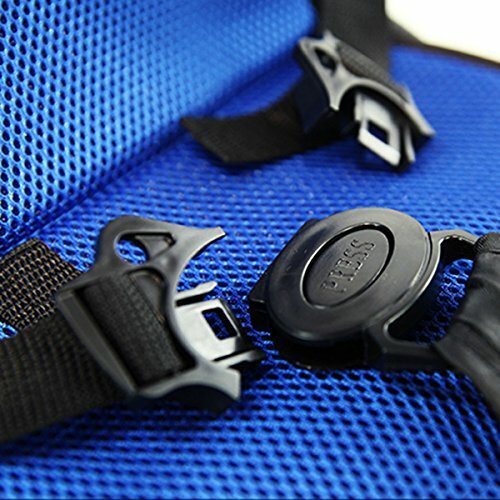 More Sweet Functions -1. Retractable and folding pedals; 2. Foam-surrounded guardrail makes it anti-collision which can be opened and moved; 3. the bag on the back of the tricycle can be used individually which has large volume; 4. the back wheels has the function of brake; 5. no tools needed for the assembly and easy to carry. 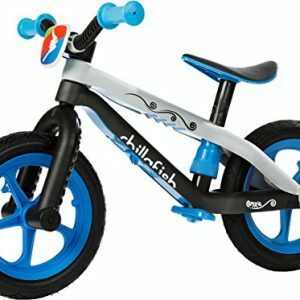 Great Gift – It is an ideal present for your kids’ birthday, Christmas! 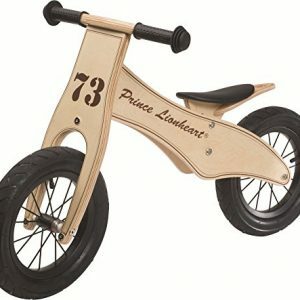 They will love to ride on the tricycle! 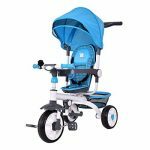 The wheels is wearable and shock-resistant, give your baby a great ride! 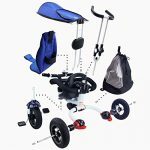 Kaleidoscope - With Cradle - Revolving Head Map - Great Decoration for the Office of Home - Perfect Gift!